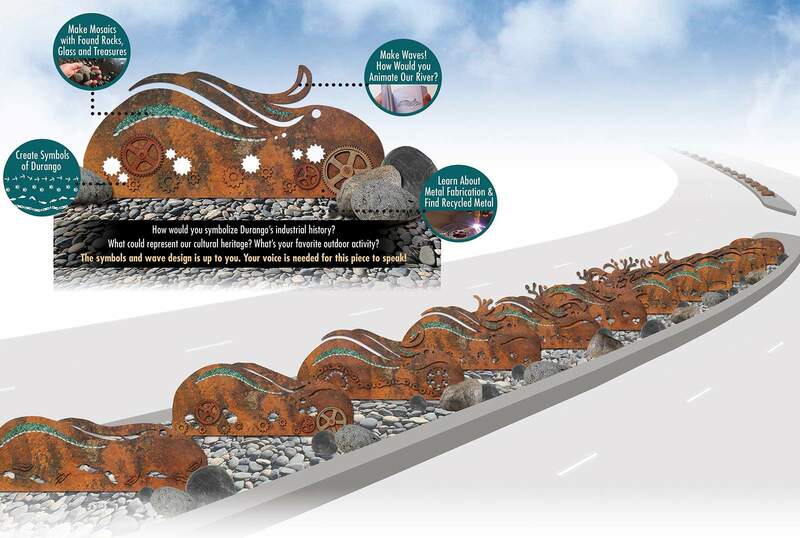 Not all Durangoans will be pleased with the public art which will be installed in two long medians at the intersection of U.S. Highways 160 and 550; art has that effect. But Durangoans should not fault the process. The selection panel mandated youth involvement and included three members of Durango’s Public Art Commission and one representative each from Fort Lewis College, the Durango Arts Center, Durango High School, CDOT and the Mayor’s Youth Advisory Committee. An online survey (at durangogov.org/virtualcityhall) to vote for one of the three finalists – without a none-of-the-above possibility - continues through Friday. There were 1,922 responses as of Tuesday afternoon. Posterboards describing the project and the artists work can be viewed this week at the Durango Public Library, Animas and Durango High Schools. All of the artists are local, and over 50 percent of cash for the project comes from the National Endowment for the Arts, and the remainder from budgeted city funds and in-kind contributions. Do not look for the new art in the triangle where the frequently derided “Arc of History” was located before it was vandalized and removed. The triangle will remain bare. The new locations (are we exchanging one controversial location for another?) are the two medians along the continuous flow lane of U.S. Highway 550/160 where native grasses were planted before they were overrun by weeds because the median has no water. As to the choice of artist from among the three who were shortlisted, the Herald’s editorial board has no favorite. One submittal uses a long line of metal rolling waves to play off the proximity to the river, while another features multiple life-sized native animals. 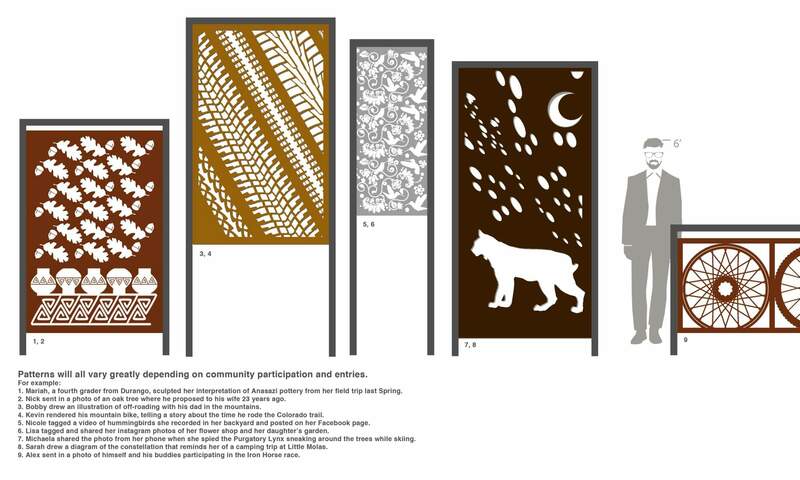 The third, rectangular metal panels, will be filled by scenes determined by local participants. (Well, the board slightly favors the rolling waves in this water-conscious climate and terrain.) They do not look as though they will distract drivers. And, as far as we know, all three artists are comfortable with their art being dressed up, guerrilla style, to help celebrate community events and to poke fun. That is important, though so is public safety. So we are not encouraging this practice, but anticipate it may occur. As we well know, whether the community will embrace the new art will not be known until it is in place and the reactions emerge. Its message, mostly, but also its size and shape and appearance in the changing lighting will then come into play. Art is not easy. But, what we do wonder is whether this selection effort should be shifted just a short distance down the highway. Better, perhaps, to consider a location an eighth of a mile or so south along Santa Rita Park. 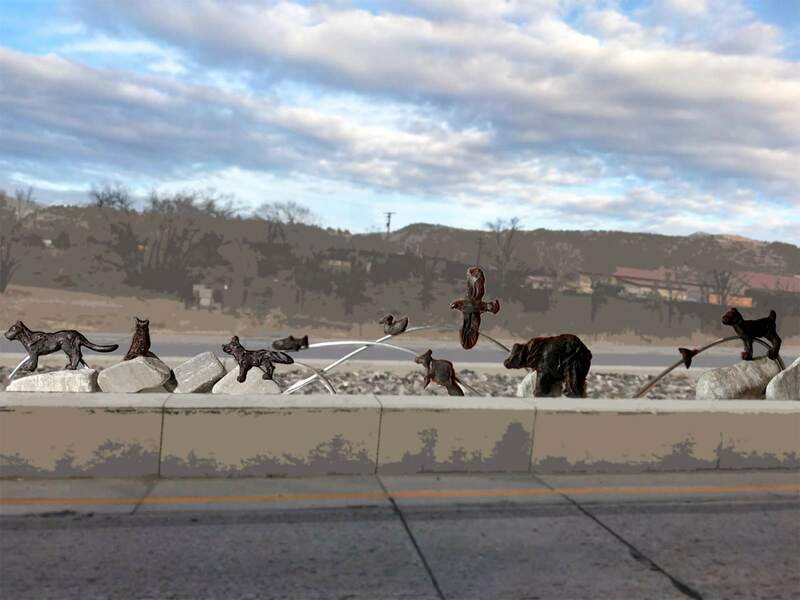 There, the art, alongside the highway, in addition to dressing up the park could meet a recently communicated need expressed by parents concerned about the park’s and playground’s proximity to the highway. An art barrier would not stop a vehicle drifting off the highway, but it would serve as a warning sign and slow down a child heading towards traffic. Art will no doubt be a part of the outfitting of Santa Rita Park, an exercise which is underway. We look forward to the public’s selection, and to how it appears in place. Durangoans should be complimented on their community efforts for art.